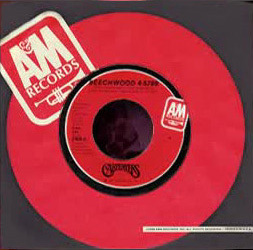 A mono folddown exists on the promo 45. Younger fans and those not native to the US are sometimes confused by the title of this song. It’s a phone number spelled out in the way that they were delineated in the US back in the ’50s and ’60s. Each local phone company had “exchanges”, the first part of the phone number. The exchange here is BEechwood 4. The “Beechwood” part is a mnemonic device so that people would more easily remember the number, and the user would only dial the first two letters of the exchange, B-E-4 hence the capitalization, and follow with the rest of the numbers. People would know approximately in which community you lived based on the telephone exchange that you had. Most don’t bother with the capitalization anymore since the whole idea is antiquated.